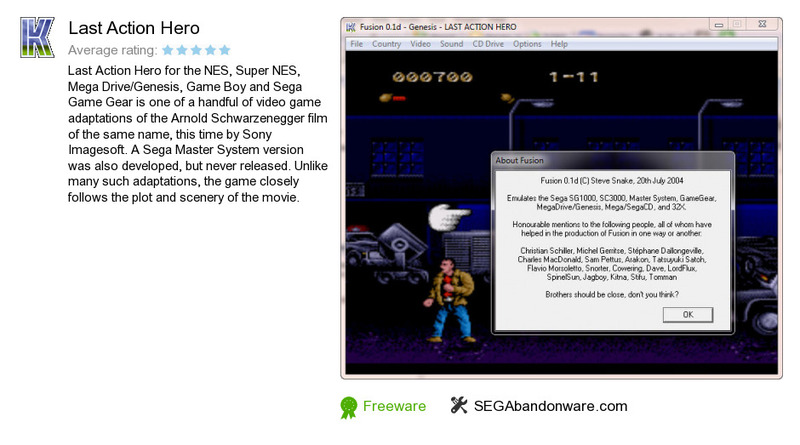 Last Action Hero is a program developed by SEGAbandonware.com. We know of version 1.0. Version 1.0 is available for free download at our site. Last Action Hero installation file has a size of 838,482 bytes. SEGAbandonware.com also publishes Pink Goesto Hollywood and Babys Day Outbeta.